There's not enough cons to fill the con list out! Hey, have you heard the news? 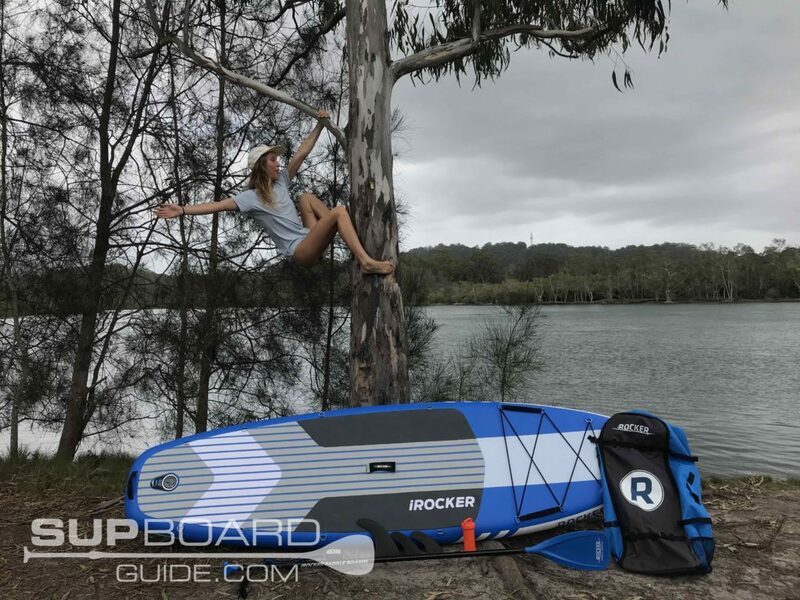 The iRocker Cruiser 2019 has just landed and it’s an absolute ripper! 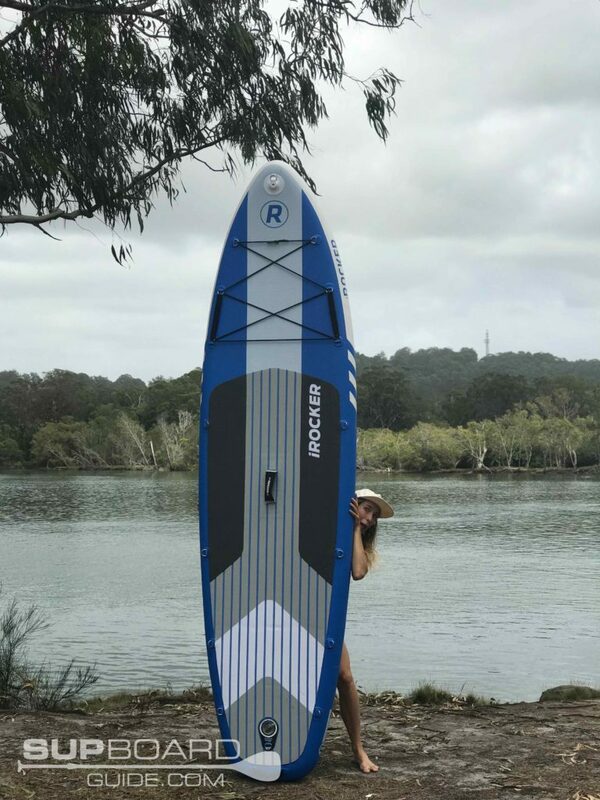 Sporting some solid new performance features and a brilliant updated look – the iRocker remains the perfect go-to board for beginners and experienced SUP’ers alike. You may have noticed iRockers skyrocketing popularity over the last couple of years, there’s a good reason for it too. They make good quality boards and keep things honest with their prices – value for money! The 2019 Cruiser is no exception to it either. 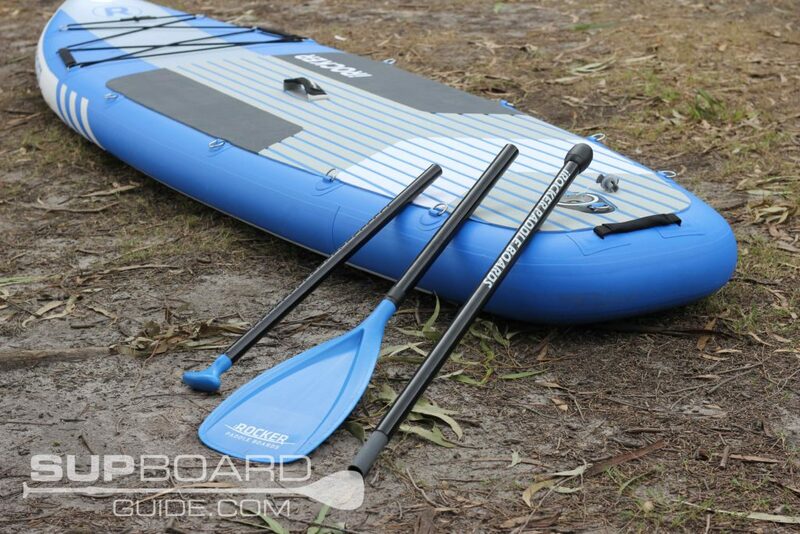 The cruiser is an incredibly stable board that glides effortlessly in flatwater conditions. The 2019 model doesn’t see any drastic changes from the 2018 model but there is one change that slightly affects performance. That is the fins. Whereas in 2018 the fins were non-removable, now they are! Of course, this is convenient for storing the board easier but it also affects how the board moves. If you choose to ride you Cruiser with just one fin, you’ll notice an improvement in tracking. A large center fin alone aids in keeping your board sticking to one line, thus also improving your glide. It does make turning the board a little harder though. So, if you are doing some paddling that requires a bit more maneuvering, say some bubbly waters, you’ll want to throw in the side fins in. Choosing to use the side fins as well improves your turns but also adds a little more stability through the back of the board. Outside of the fins, the Cruiser 2019 is the same as far as performance is concerned. The rest of the changes you’ll see are aesthetics and in the accessories. For those who aren’t up to date with iRockers though, I’ll fill you in on what the Cruiser is all about. It’s a perfect beginners board in that it’s stable, easy to paddle and holds it’s glide well. If you are getting out for the first few times, you want to still be able to have fun and not spend the whole time wobbling uncontrollably. So, choosing something like the Cruiser is perfect! It’s got a squared-off tail and wide girth at 33″. The nose has a slight rocker to help combat winds and getting through chop, which as you get the hang on the board, you’ll appreciate having the extra boost. 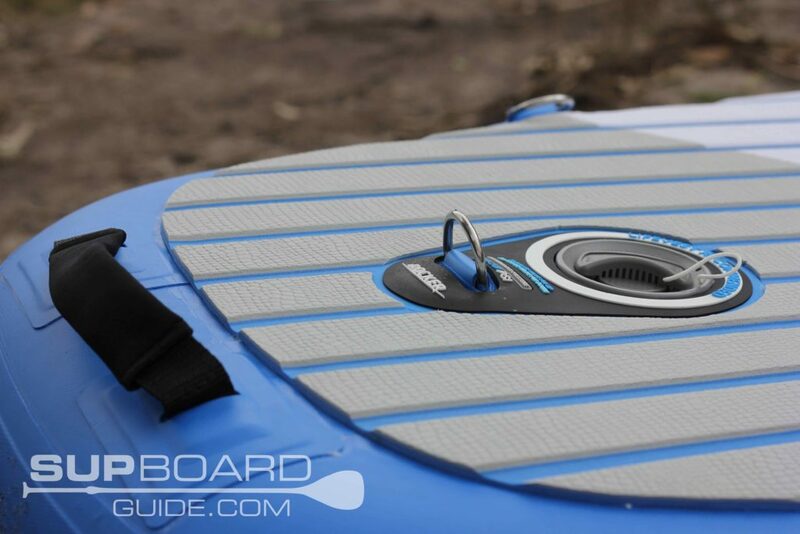 While it’s a fantastic board to be cruising leisurely around on, it’s not ideal for choppier waters or small waves. You are better off looking at the All-Around if that’s what you’re thinking. If you are wanting to get real pro, you will want to look at something like the ERS Skylake or Red Paddle Co Ride that’s a bit easier to move quickly. 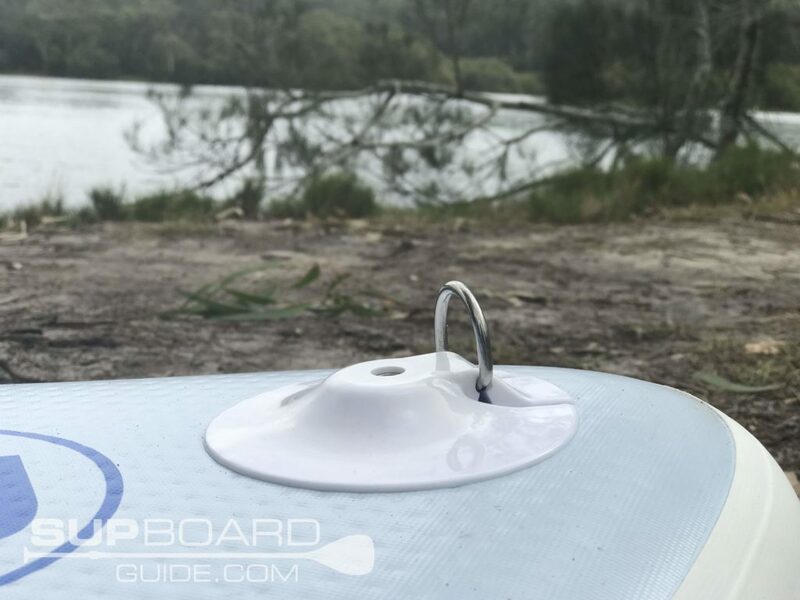 While again, if you are wanting to cover long distances and in a reasonable time, a touring SUP like the Baysports would be where you focus your attention. Within your Cruiser, you will find a drop stitch core with multiple layers of PVC covering it. Starting with the core, drop stitching refers to the process of combing of the first layers of PVC with thousands of threads. These threads reinforce with strength the more you inflate your board. It’s also is what lets the boards to be inflated to high pressure without popping. Wrapped around this initial bundle of joy is then 3 more layers of military grade PVC, resulting in a quad-layered SUP. 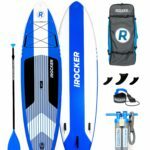 Someone correct me if I’m wrong but iRocker are the only ones producing a quad-layered board. Not only does it make your SUP incredibly tough (you can drive over it!) it also provides an incredibly stiff platform. Other boards that use fewer layers and poorer quality techniques will flex underweight but not the Cruiser! The other feature is the deck pad. It’s made from a thick foam that is then glued and pressed onto the board. The 2019 model deck pad sees a slight improvement in quality. It’s still the same crocodile texture but no longer diamond grooved. The edges are beveled to create more comfort and grip. 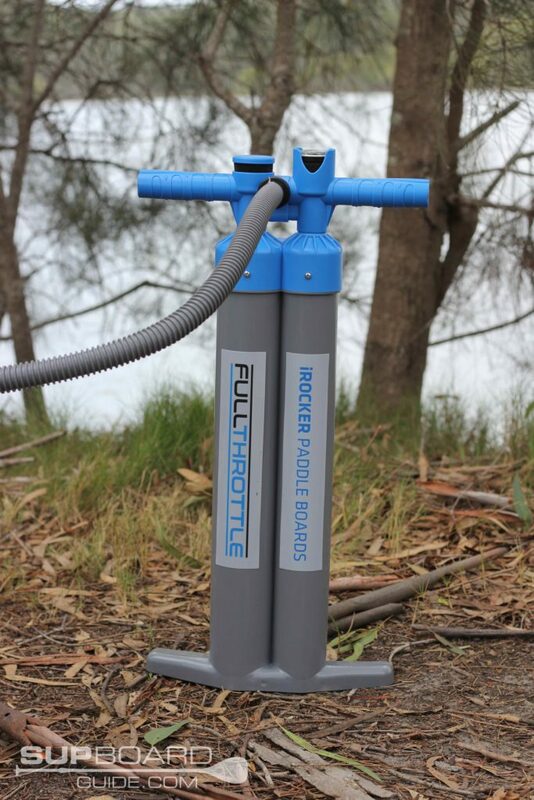 Using the new full-throttle triple action, dual chamber pump makes inflating easier than ever before! In about 8 mins you can have this board going. I say 8 mins but I would suggest some people would do it even faster. Deflating is the same as always, pushing the pin in and twisting it to lock it off. However, having the side fins removable allows you to roll the board up that little bit tighter. You’ll find this helps with packing the board into the bag. ALL fins are removable! Yep, side fins removable as well now. You have the choice to set your Cruiser up as a tri-fin or just use the single center fin for optimum tracking. 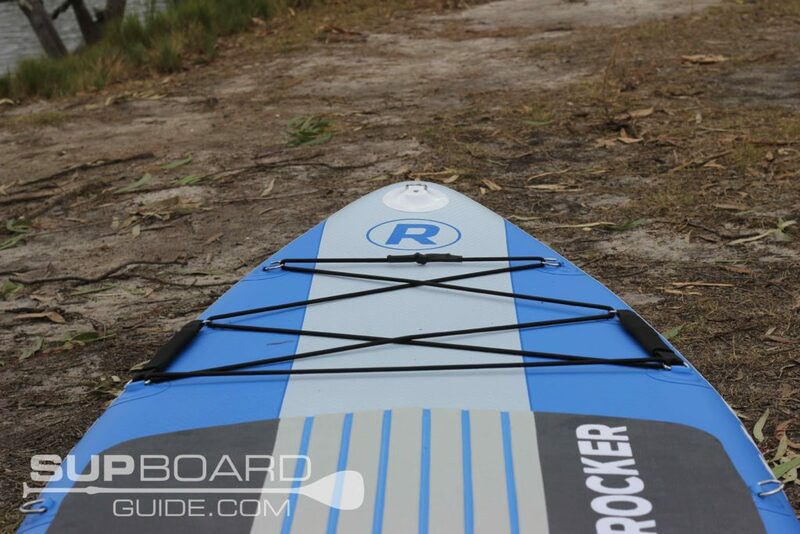 iRocker also has a lower profile center fin on offer so you can get paddling into shallow areas safely. The fins click in easily, super quick and hassle-free system. This system is definitely more efficient than the screw and plate you’ll find on the Blackfins but the quality of fin between the two is quite different. The Blackfin fins are a sturdier plastic and thinner in some areas which helps with turning and glide. 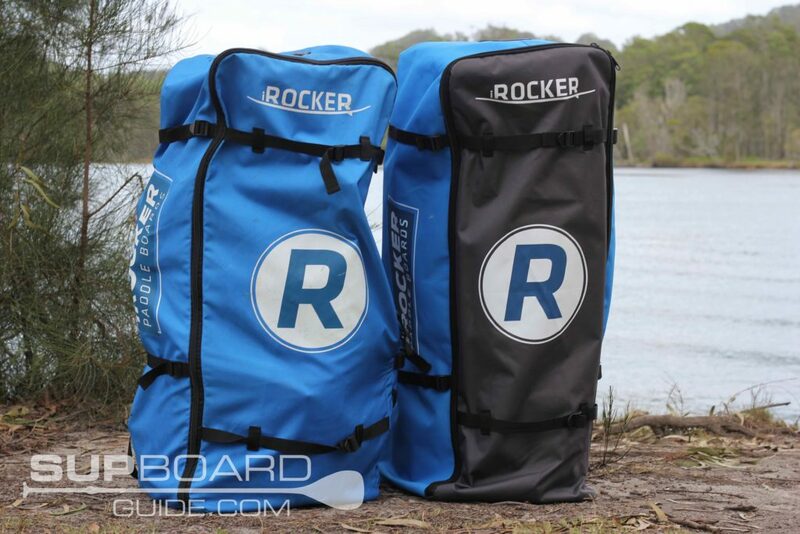 I would love to see the iRocker range be upgraded to this system one day, or at least look into a better fin. Design as in the aesthetics, you’ll notice there is a slight difference from 2018. Or maybe not if you haven’t seen the 2018. Either way, now there is some color-coded stripes through the deck pad. Stripes make you faster! You can choose from Blue, Aqua, Orange, and Black. I quite like the Aqua! I also appreciate how they choose dark colors for the deck pad as my (usually) muddy don’t leave as noticeable of a mark. The new beveled edges also make the pad a little more comfortable and grippy. The features along the board have changed a bit too. 2019 sees the front bungees extended wider to create more space and 4 D-rings up the back which you can purchase additional bungee for. 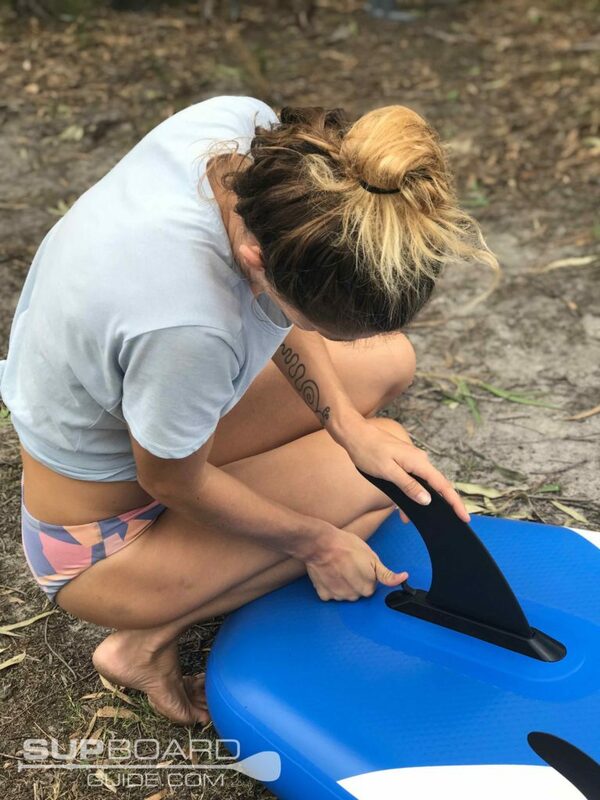 There’s the idea the back D-rings could support a second kayak seat but unless it’s a couple of kids or small people, probably not ideal. I would either use it as extra storage space or attach the cooler bag! On the topic of D-rings, there is a new one under the nose for towing / mooring, for those lucky enough to own a boat to trail one from. Those who don’t have a boat, like me, might use it to link up other SUP’s and go floating together! Or to tow kids along. Another win for the kids is the handles on the bungee area, to help them stay on when you fall off 😉 Meanwhile if you don’t have kids they are also extremely useful for handling the board, as well as the handle located on the tail. The Cruiser is the perfect board to get creative with. What I mean by that is that due to its width and stability it’s perfect for extra activities such as fishing! And lucky for you, with the action mount up front you can now attach a fishing rod holder, speaker or go-pro! See further down for details on each of these items. Another piece of your iRocker package that is the same as last years. Though really, there isn’t anything wrong with it for the value of the whole package. If anything it’s a score! This fiberglass, 3 piece pull apart paddle is color coded to your board, floats and is sturdy to paddle. I’ve had issues with other paddles in this price range, fluttering and moving a lot in the joints but not the iRocker! The dihedral blade helps propel you through the water with maximum efficiency and the strong shaft doesn’t flex or bend under extra pressure. 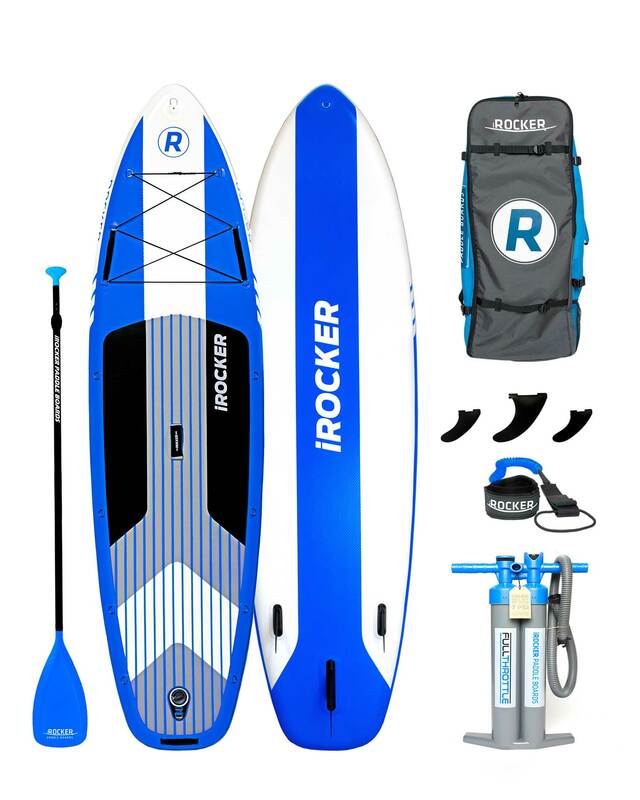 Sure there are lighter and better paddles out there but they come with an extra cost too, as far as included paddles go for this price range, iRocker has got the goods! 2019 upgrade on the backpack sees some extra D-rings added on the outside to help attach kayak seat or anything extra that doesn’t fit in the bag. While the same comfortable, cushioned, supportive straps and back keep your spine safe as from the 2018 model. Handling the bag safely is also a breeze with handles located on the sides and the top. The new full throttle, triple action, double chamber pump is epic! It’s 25% lighter than the double chamber pump they bought out last year and 50% faster than the pump they had before that one. Not only is it faster and lighter, but it’s also easier to use. So long as you are switching between the actions, you’ll find your arms aren’t nearly as tired after. On top, you’ve got the same integrated pressure reader to keep track of what PSI you are up to which the recommended still stands at 15PSI but can safely go up to 20 PSI. Color-coded like your paddle is the leash! It features a well-padded ankle cuff that has a sneaky key stashing spot on it. While the coiled wire helps prevent the leash from slipping off the board into the water and getting caught on objects. So far I’ve found the plugs and wire to be strong, snapping a leash is not an experience one wants to go through too many times! Of course, you are supplied with a repair kit! Probably the most useless but useful tool at the same time. Useless because I’ve literally never needed to use one! But useful because if I did need one, I’d be happy to have such a surplus! Here is a list of optional extras! SUP turned Kayak! Awesome for creating a bit of versatility. Bluetooth paired that can also store up to 4GB of songs, so no more taking your phone! 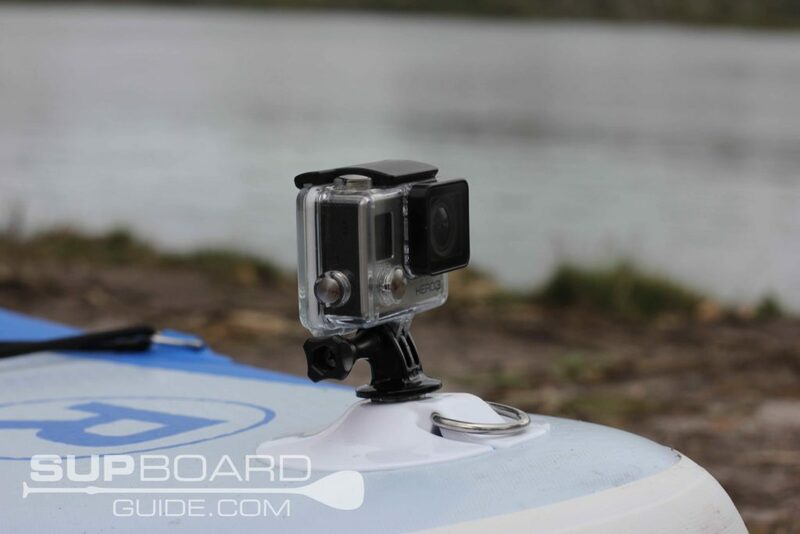 It’s totally waterproof, can be suction capped onto your board but we recommend using the action mount. It boasts some sound for a little guy! 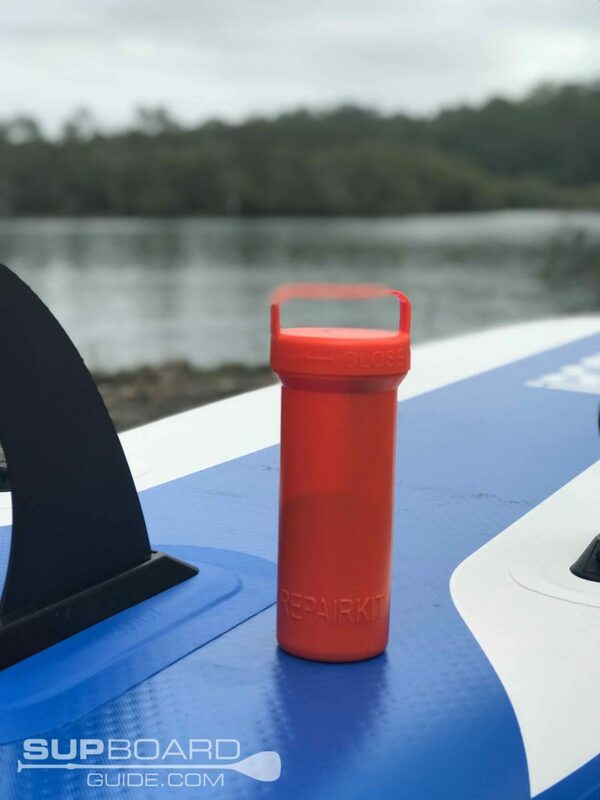 Not that most of us want to take a call out on the water but just in case you are waiting on a call but want to get on the water, you should know it has a built-in mic and Caller ID function too. Feel free to invite me over for dinner once you’ve caught the first feed. Insulated cooler bag to keep snacks dry and fresh. Make your life easier by attaching a carry strap! Easily the best SUP upgrade out there. The 2019 Cruiser is still one of the most popular iSUPs on the market given its accessibility. It’s perfect for those starting out or people wanting some extra space for activities like yoga or fishing. It’s ridiculously stable but still holds enough shape for a fun paddle. 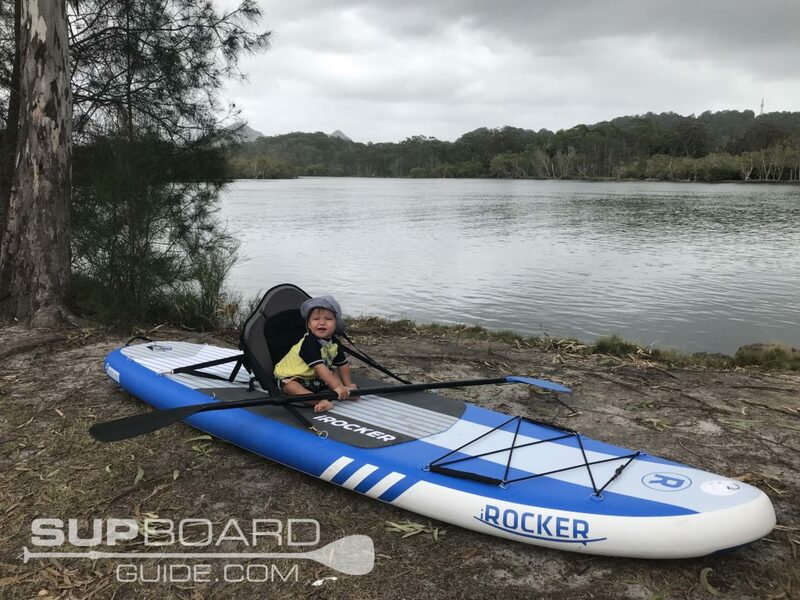 While you won’t want to be charging waves or treacherous waters (I’d suggest checking the all-arounds or something like the ERS Skylake if that’s you), it’s ideal for a cruisey paddle, especially those with kids. Buy with ease as iRocker has a 30-day return policy and 2-year warranty on your SUP. There’s a reason we keep coming back to these boards. They aren’t the flashiest boards your money can buy but for what you pay, the value is extraordinary. You get the full package – pump, paddle, leash, bag and some of the best quality accessories you can expect at this price. All that is left is for you to choose your color and paddle away! It’s also a really good safety factor that easily goes unthought about too, easy to spot you! I’ve got my wife and I (both 150 lbs), two toddlers and a dog. I was looking at blackfin xl, cruiser (10’6×33). Any thoughts? James, that would be a great board for you and your family. 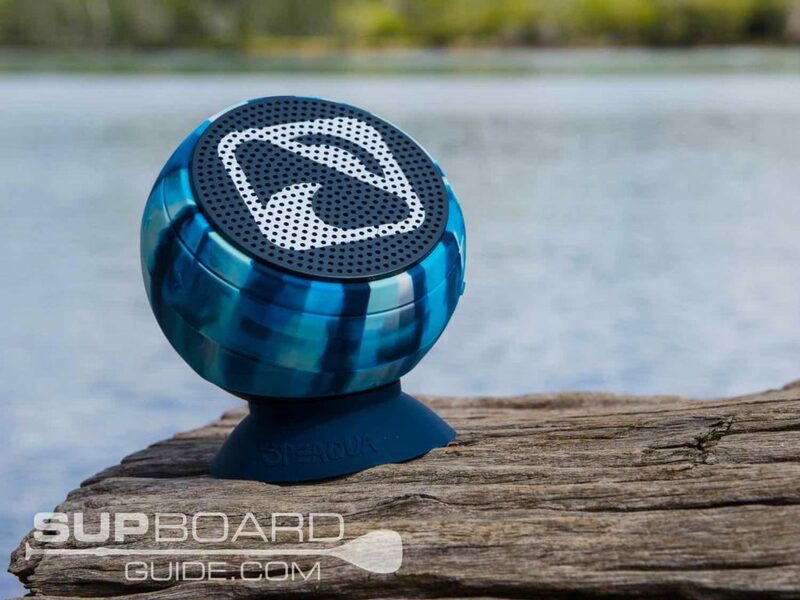 The Blackfin XL is one of our favorite models we have reviewed. It has a 485 pound weight limit and is very stable so you could definitely fit you and your kids on the board. Let us now if you have any other questions. Happy Shopping!